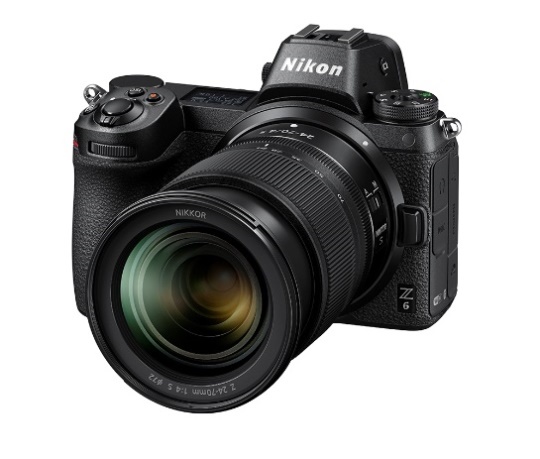 Nikon has launched today FX format (full-frame) mirrorless cameras Nikon Z 7 and Nikon Z 6, with three new NIKKOR Z lenses featuring a new larger-diameter mount, and the Mount Adapter FTZ. The three new NIKKOR Z lenses are the standard zoom NIKKOR Z 24-70mm f/4 S, the wide-angle prime NIKKOR Z 35mm f/1.8 S, and the standard prime NIKKOR Z 50mm f/1.8 S.
CMOS sensor with built-in focal-plane phase-detection AF pixels, and the latest imageprocessing engine, EXPEED 6. The Z 7 has 45.7 effective megapixels, and supports a standard sensitivity range of ISO 64–25600. In combination with NIKKOR Z lenses, the camera achieves an outstanding level of sharpness and detail, all the way to the edges of the image. The Z 6 has an effective pixel count of 24.5 megapixels, and supports the wide range of ISO 100–51200 standard sensitivities. With superior performance at high sensitivities and full-frame 4K UHD movie recording with full pixel readout, the Z 6 responds to a variety of needs, such as shooting in dimly lit environments, and movie recording. count of 45.7 megapixels and the Z 6 has an effective pixel count of 24.5 megapixels. The Z 7 and Z 6 are equipped with the new EXPEED 6 imageprocessing engine. Employing the superior resolving power of NIKKOR Z and NIKKOR F mount lenses, subjects are rendered more sharply than ever before. Noise is also effectively reduced. The electronic viewfinder adopted for the Z 7 and Z 6 is comfortable and easy to use, comparable to optical viewfinders. that they can be operated swiftly and easily. The Z 7 and Z 6 support recording of not only full-frame 4K UHD (3840 × 2160)/30p movies using the FX-based movie format, but also full-HD/120p movies.